DMC has over 50 years' experience working with the NHS across England. 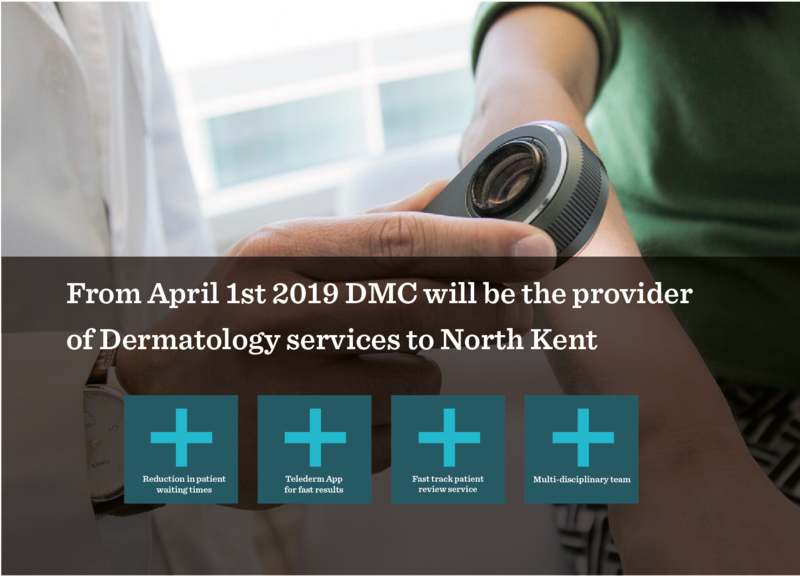 Our community dermatology service will move the work of the dermatology department at Medway NHS Trust into the community. Along with receiving the same standard of care, patients will see a service more integrated with supporting local services, and are likely to be seen sooner. In addition, we have an existing network of clinics in Kent ensuring patients can be referred to a location closer to home. Our service is led by Dr Tony Downs, an experienced Consultant Dermatologist. All our patients are seen by experienced consultants, dermatologists, specialist nurses or GPs with special interests. If you were due to have an appointment in April or May at the hospital and this has been cancelled, please be assured we will contact you as soon as possible to re-book this. Please be advised we are experiencing very high call volumes this week due to transfer of service to DMC.